Fort Lauderdale, FL, August 15, 2018 — ASAP Tax and Lien Search continues to grow during the traditionally slower months of Summer. June marks the first month in the company's 20th Anniversary of operation and extends it's streak of double-digit year-over-year increases to 10 months. Additionally, the company created a new partnership with Closers Choice. Sales orders increased from 2017 in May by 37%, June by 26% and July by 33%, bringing Year-To-Date increases to 31% through July 31. “We are proud that our company's reputation for outstanding customer service, as well as fast and accurate reporting have been recognized by our current customers and companies that have discovered us for the first time,” said Francine Citarella, Company President. 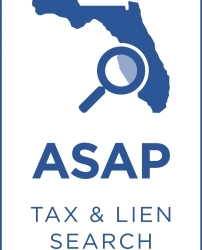 ASAP Tax and Lien Search was founded in 1999 by Francine when she was in her mid-fifties. A trailblazer who continues to run the only woman-owned company in the industry in Florida, ASAP is one of the oldest and most respected companies that performs Tax and Lien Searches for Title Companies and Real Estate Attorneys. She is joined at the company by her daughter Lisa, daughter-in-law Sherry, son Anthony and an strong, experienced support team.